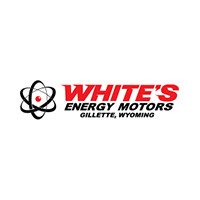 Auto Financing in Gillette | White's Energy Motors " "
Welcome to the White's Energy Motors Finance Department serving Buffalo, Casper, Sheridan, and all surrounding areas! We’re here to help you finance your next Chrysler, Dodge, Jeep, or RAM vehicle. We work with all types of situations so don’t hesitate to get the car of your dreams if you’re worried about financing. We will help you find the car loan or lease that fits with your individual budget. When you’re ready to let us help you finance your next new or used vehicle click the Apply for Financing button to fill out our finance application. We here at White's Energy Motors will then be in touch with you to discuss your finance options with you further. We can’t wait to help you finance your next Chrysler, Dodge, Jeep, or RAM model here at White's Energy Motors!